Chase Hall is one of seven buildings named for notable secretaries of the United States Treasury at the suggestion of George F. Baker. Chase Hall is named for Salmon P. Chase. Built in 1926 as part of the original McKim, Mead & White campus plan, Chase Hall is a four-story, 50,000-square-foot student residence hall. A U-shaped, Georgian Revival-style structure, Chase was built as an MBA student residence hall, but in the early 1980s was renovated to house participants in the School’s Program for Management Development. Today, Chase again serves as MBA housing, offering single rooms with private baths. 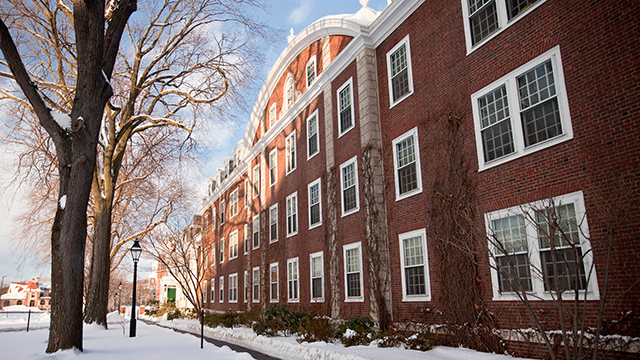 More than 80 percent of HBS students live on campus, taking advantage of the proximity to classes, extensive academic and social resources, and opportunities for peer learning. In addition, Chase accommodates various administrative offices for the MBA and Executive Education programs and, at times, provides overflow housing for some Executive Education participants. Chase Hall is one of seven buildings named for secretaries of the US Treasury at the suggestion of George F. Baker, the prominent banker who funded the construction of Harvard Business School's original campus. 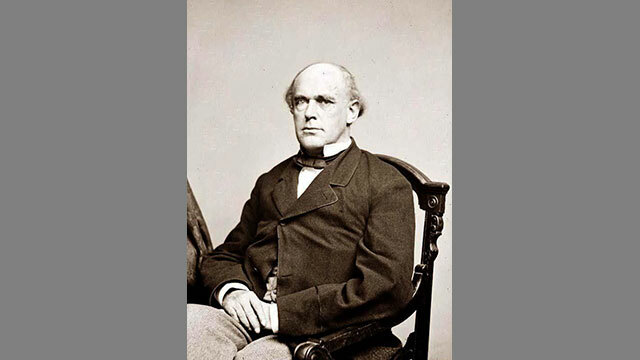 Salmon P. Chase (1808-1873), a politician, abolitionist, and jurist, was elected US senator from Ohio in 1849. In 1855 he became the first Republican Ohio governor and launched a presidential bid a few years later, losing to Abraham Lincoln. In 1861, Lincoln appointed him treasury secretary, and in that position, Chase implemented the National Bank Act, which established the basis for the US paper money system that is still in use today. In 1864, Lincoln appointed Chase the sixth chief justice of the US Supreme Court. During his tenure on the court, Chase deliberated in cases relating to the Reconstruction era and presided over the impeachment trial of President Andrew Johnson.